I’m popping in to announce the Altenew January 2018 Release Blog Hop Winner!! 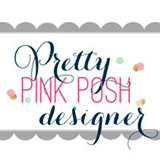 ← Pretty Pink Posh Turns 4! Yay!!! I am so excited to be the winner ❤️! I will use the gift card to get supplies so I can make some creations inspired by your beautiful Art. Thank You!